Naomi Watts was spotted arriving at the Sydney airport on Tuesday just in time for the holidays with her sons Alexander(Sasha) and Samuel (Kai) Schrieber. The actress, who was accompanied by a friend, held each of her boy’s hands as they made their way through the terminal. 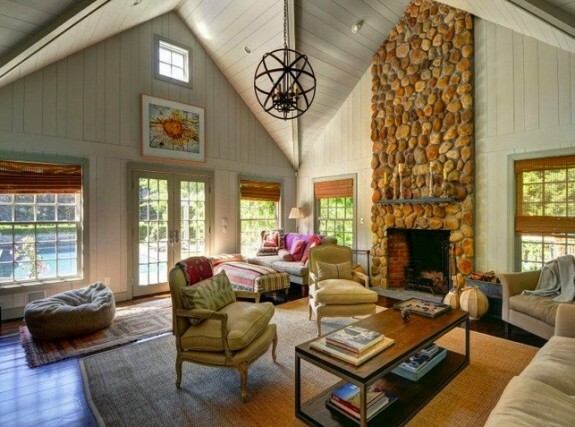 The trip comes as it was announced that Naomi and her long time partner Liev Schreiber have put their Hamptons cottage on the market for $5.85 million. The five bedroom, 7.5 bath home boasts more than 6,000 square feet, gorgeous wood panels, high ceilings and a bluestone fireplace. But, don’t worry about the family being homeless when their Amagansett home sells, they also have a house in Los Angeles and a 4400 square foot TriBeCa apartment. In recent weeks Naomi was been busy filming The Bleeder with Liev. The 1970s biopic follows the life of boxer Chuck Wepner. Naomi plays his wife Linda. A couple weeks ago she shared a photo of her and Liev filming in Coney Island. We love how cute she looks with red hair! The trip will be a quick one as Liev has been nominated in the Best Performance By An Actor In A Television Series – Drama category at the Golden Globes for this role on Ray Donovan.